6 tablespoons of olive oil. Cut swede into chip sized slices, roughly 1.5cm thick and 5cm long. Toss the pieces in a bowl with the oil, draining off any surplus oil. Add the remaining ingredients to the bowl and combine thoroughly. 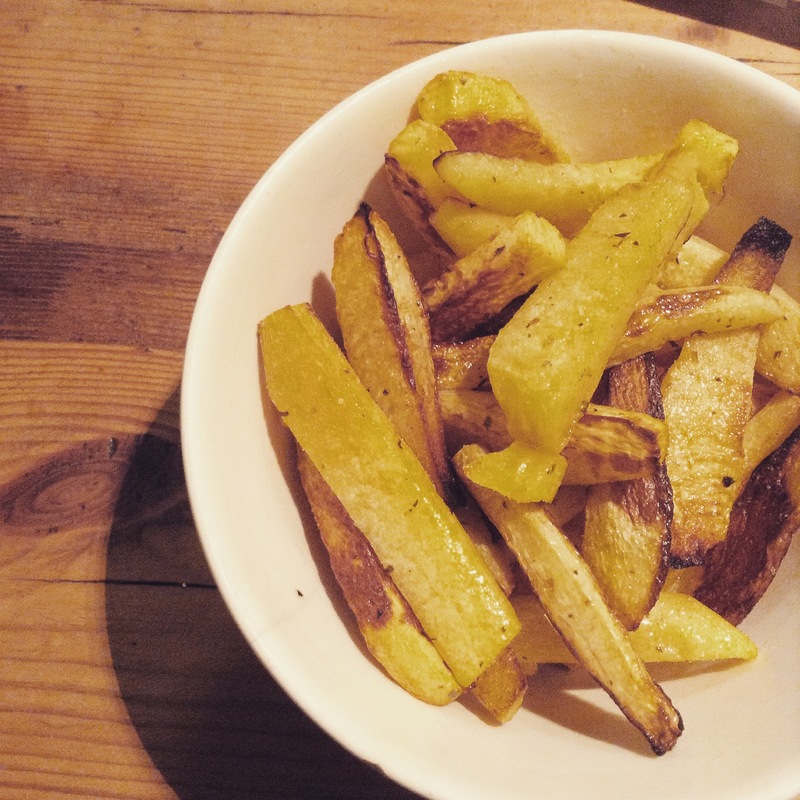 Arrange the coated chips on a baking tray and bake at 200C for 30 minutes, turning halfway through, until the chips are golden and crisp on the outside and tender inside.